Pardon the Buzzfeed-esque title but wow, talk about a completely new market segment for Cherry Mobile. They’ve just recently launched 4 new devices; all of them running Windows – Microsoft’s phone and PC OS. 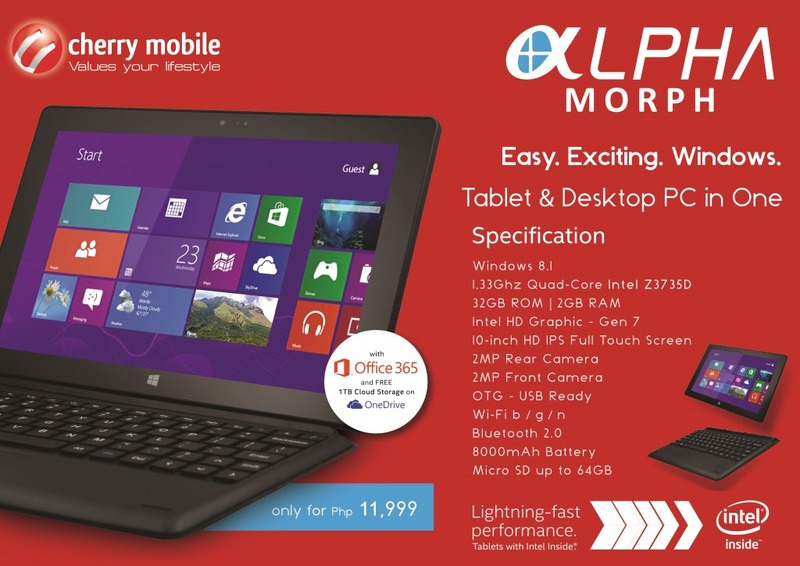 And yes you heard right – Cherry Mobile is now selling PC x86 devices as tablets with full Windows 8.1 installed, ready for all your PC applications. For how much you say? 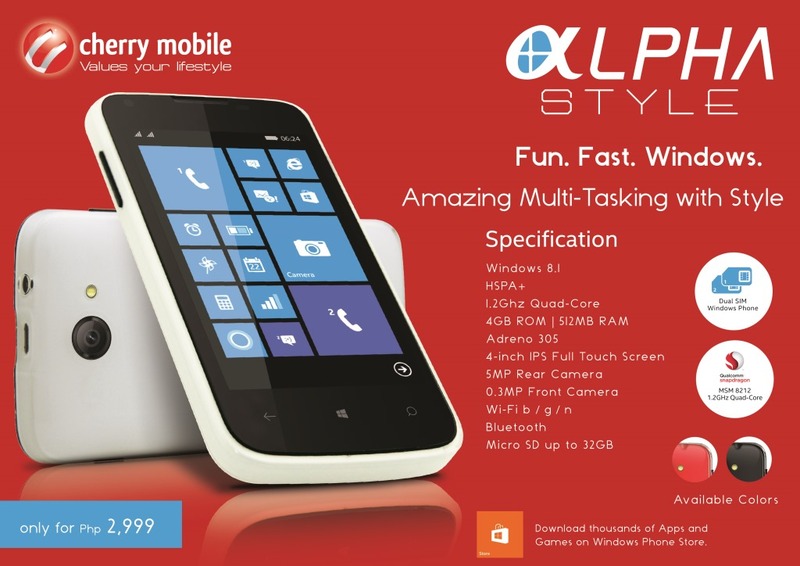 Well how about a Quad-Core Windows Phone 8.1 Device for only PHP 2,999? 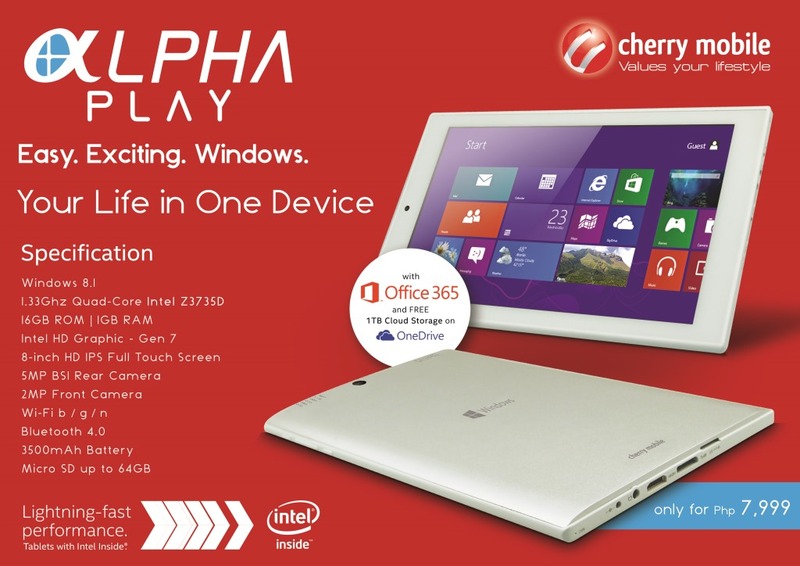 How about an 8” tablet with full PC capabilities for only PHP 7,999? That’s both the most affordable Windows Phone to date and the most affordable Windows PC tablet to date. Hell to the yeah. Video and specs are below! 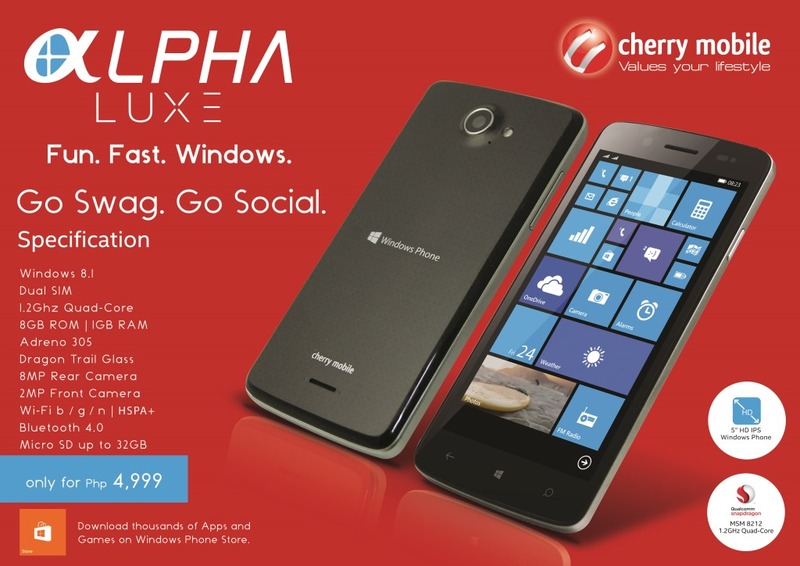 The Cherry Mobile Alpha series will be available this month. Check them out then!